Home > Google News > Google Transliterated Search Results? We know Google has a really nifty Google Translate tool and we know Google integrates that directly in the search results with translate this page. But Google is also pushing hard on transliteration and improving that. For those that don't know the difference between translation and transliteration, translation is simply converting one language into an other, where as transliteration is where you help people speak one language by showing the pronunciation in the language they understand. Can you see this incorporate in the search results? It is very interesting that Google bloded the English transliterated version of the word. 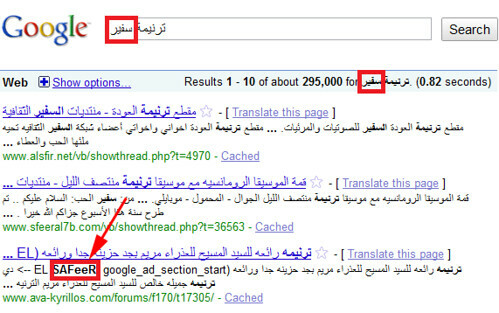 Transliterated search results, here we come?